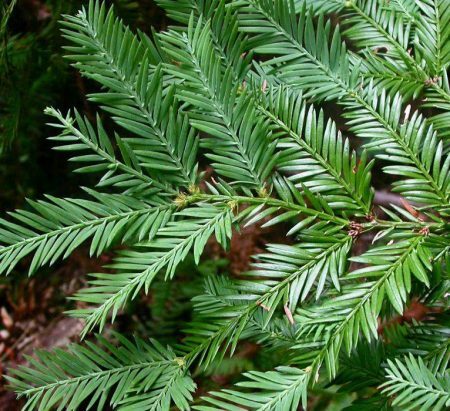 Sequoia sempervirens is a fast-growing, very large evergreen tree of around 20m, it does not reach the heights seen in its native Oregon due to climatic conditions. Huge corky redwood bark trunks support feathery dark green foliage that resembles that of Yew. Coastal Redwood prefers a well-drained moist soil with good nutrition. This majestic evergreen tree grows best in the west of the UK where there is more rainfall and humidity Sequoia sempervirens takes well to cutting, as it can regenerate, making it a useful trained tree.